Sometimes described as a rice wine, sometimes as a rice beer, sake shares qualities of both. It is fermented from specially developed rice and water by brewmasters (‘toji’). But, although sake is brewed like a beer, it is served like a wine and, like a wine, can either be dry or sweet, heavy or light. 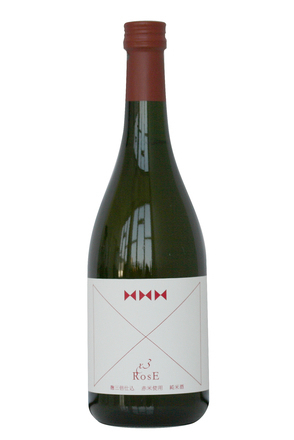 But it is slightly more alcoholic than wine, and much more boozy than beer, at 14-18% alc./vol.. Sake (pronounced Sar-Keh - heavy on the 'K') is native to Japan (and parts of China). In Japan, its home country, it is also known as 'Seishu', 'Nihonshu' and 'Osake'. It has been around in a primitive way since the 3rd century, but became refined and controlled around the 8th century. The basic outline of production has changed little since the 17th century, but elegant and fragrant sake has only been generally available since the 1970s. 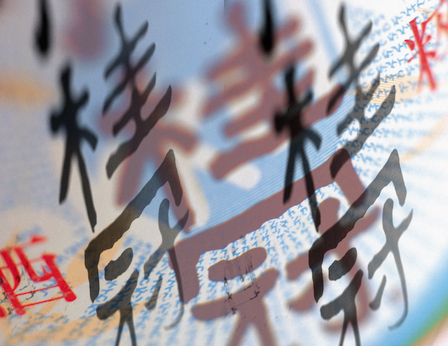 In China sake is more popular in the south, though some of the finest comes from the north; other East Asian countries also have their own takes on rice-brewing. The USA is another large sake producer. Japanese companies have established subsidiaries around San Francisco and the Sacramento and Napa Valleys, while the Honolulu Sake Brewery, established in 1908, was the first outside Japan. Sake is brewed from rice, water and yeast, with the aid of a mould known as 'koji'. Production was once restricted by law to the colder months, and this continues to be the practice for most breweries. However, refrigeration has made possible the practice of year-round brewing. A special kind of large grained rice called Sakamai is used for making premium sakes - there are about a hundred different types of Sakamai. Costing two to five times as much as table rice, it has a higher starch content with little protein and fat. Most of the starch is in the centre of the grain, while the fats and proteins are around the outside. It is this starchy 'white heart' of the grain that sake brewers use. First, the rice is 'polished'. The outer surface is literally milled off, leaving the starch rich middle exposed. Depending on the category and style of the sake, the grain may be reduced to less than half its original size. It is then washed thoroughly to remove any powder the milling has left behind. The milled rice is then steeped in water. The length of time it is left depends on the quality of the sake and how much the rice has been milled. The more the rice is milled, the faster it will absorb water and the more important it is for the brewer to steep for precisely the right length of time. Rice may steep for as little as a minute, or as long as a whole night. Then it is steamed. Traditionally this is done in a 'koshiki' in small batches of about one tonne, but larger breweries can use large, continuous steamers. The bulk of the steamed rice is cooled to 5°C and used in the fermentation process, while the smaller portion left is used for making mouldy rice or koji. Koji is at the heart of sake production as it is the mould which converts the starch in the rice to fermentable sugar. In order to do this, mould spores (Aspergillus oryzae) are sprinkled over the steamed rice in the 'kojimuro', a wood-lined room where the humidity and temperature are kept high. This process is closely monitored and takes about 36-45 hours: the koji rice looks slightly frosted and smells sweet, and vaguely chestnutty. Next, a 'moto', or seed mash, is made. Yeast is added to the koji and mixed with water in a tank, then steamed rice is added. Most brewers also adjust the acidity with lactic acid, to help avoid microbial spoilage during this stage, but some sakes achieve this protection using older techniques that rely on bacteria to create lactic acid. These older methods are called 'yamahai' and 'kimoto' and result in sakes with higher acidity and more depth of flavor.This highly yeasty mash will form the basis for the rest of the batch. The koji and yeast simultaneously work together to convert the rice starch into glucose and the glucose into alcohol. This 'parallel combined fermentation' is unique to sake production. The 'moto' is termed 'matured moto' after the fermentation process has begun. It is transferred to a larger fermentation tank, where batches of water, rice and koji are then added to the seed mash, each time approximately doubling its volume. This main mash ('moromi') then ferments for 18 to 32 days. The elegant, fragrant styles are fermented most slowly, at the lowest temperatures. Once fermentation is complete and any neutral alcohol has been added, the 'moromi' is filtered to separate the liquid from the lees, which include large amounts of solid rice particles. This filtration process is a legal requirement, but the law allows the use of filters with holes large enough to allow the solid particles to pass through. (The result of this is cloudy 'nigori' sake).The liquid is then either allowed to settle or filtered, resulting in 'fresh sake'. The lees ('kasu') can be used for all manner of Japanese classic dishes. Fresh sake is usually then pasteurised at approximately 60°C. to denature enzymes and kill any remaining yeast or bacteria that might later alter the flavour profile. For most sakes, this is done by piping through a heat exchanger. Some premium sakes are pasteurized by immersing the bottles into hot water. This is a gentler process. After pasteurisation, it is matured (in tank or bottle) to allow it to mellow for several months. Unpasteurised sake is referred to as 'Namazake' and tends to be fresher and more fragrant than pasteurised sake. Because it is delicate and unstable, namazake has a short life and must be kept continually refrigerated from production until it is drunk. It is usually released as a seasonal product. At this stage the sake is over 20% alc./vol.. It is usually watered down to 15% to 16% alc./vol. prior to bottling to make finer flavours more discernible. Sake is not generally aged for more than the standard few months' maturation and there is no vintage concept, though some brewers are beginning to state a vintage on their labels and a 'produced on' date is a legal requirement for sake made and sold in Japan. This generally appears on the back label. Essentially, the more the rice is milled, the cleaner, lighter, more delicate and more fragrant the finished sake is likely to be. Sake is graded according to the percentage of the grain left and this percentage ('seimai-buai') is often shown on the back of the bottle. A 60% sake indicates that 40% of the grain has been ground away. 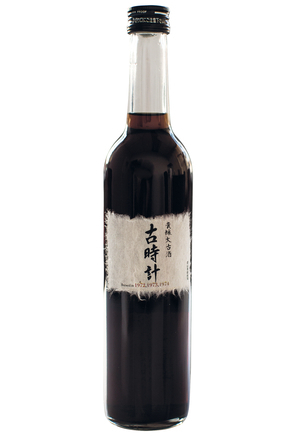 Table sake, the bottom grade, is referred to as 'futsu-shu' or 'normal' sake. This accounts for around 65% of the market. This percentage is declining. The growing 35-odd percent of premium sake above futsu-shu is collectively referred to as 'tokutei meishoushu' or 'special designation sake'. 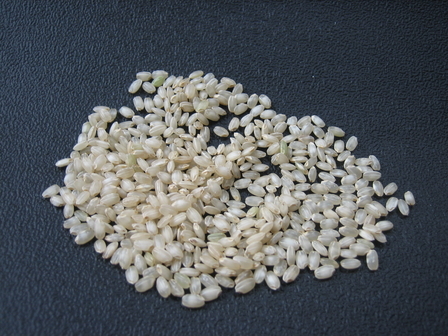 These sakes are graded according to the the degree of milling and whether special cold, slow fermentation techniques are used. The lowest grade of tokutei meishousu - honjozo must be at most 70% seimai-buai (i.e., at least 30% of the rice must have been milled away). While at the bottom of the premium sake tree, honjozo is still fine and delicate sake, with flavours that are savoury rather than fruity.. This premium sake must be at most 60% seimai-buai (i.e., at least 40% of the rice must have been milled away). Ginjo is brewed slowly at very low temperatues, generally using labour intensive methodsThis produces an aromatic sake with a fruity or floral, delicate taste. This is a more extreme version of ginjo. To make this premium sake, at least 50% of the rice used must have been milled away. The koji rice must be entirely handcrafted. These sakes are, delicate-textured, pure and fragrant. The term 'junmai' used in front of a premium sake grade (e.g. 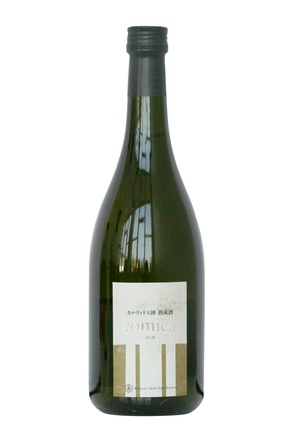 Junmai-Daiginjo-shu) means the sake was brewed using only rice, water and koji, and that no alcohol was added. 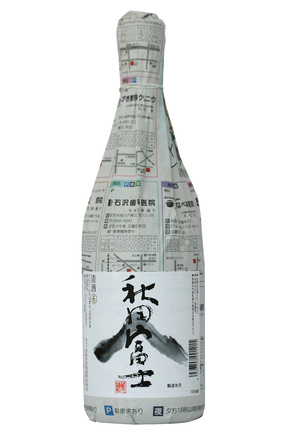 Sake without the junmai term on the label has had some neutral alcohol added during its production. Sake bottled without dilution. These are often high in alcohol as a result (typically 17%-19%, though brewers can manage the brewing process so that genshu sakes are possible with lower alcohol levels.. The boldest and most intense of these are delicious served over ice. Sake stored in a wooden cask (generally cedar) is served at room temperature. During ceremonies and special events it is often drunk from square, wooden 'masu' cups made from 'sugi' (Japanese cedar). Warmed sake (35 to 55°C), normally drunk during the winter with food. 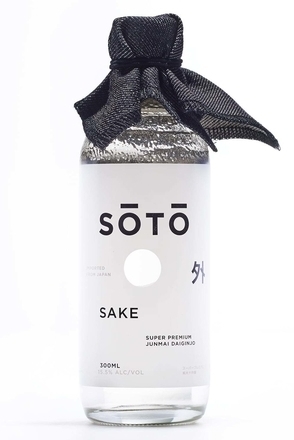 Unpasteurised sake with a fresh fruity aroma, best served chilled (8 to 15°C). White, cloudy sake that has simply been pressed using a coarse mesh filter. Can be anything from very lightly cloudy through to thick and porridge-like. Antony Moss is a sake samurai. 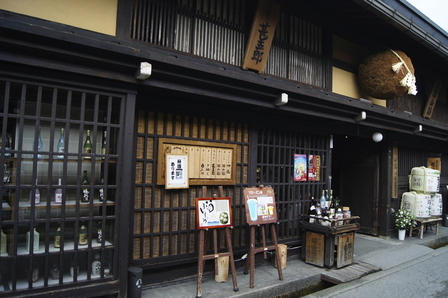 Discover more about his passion for sake.